Hi my friends! At the start of this month I launched my Even Sweeter Dreams webshop. 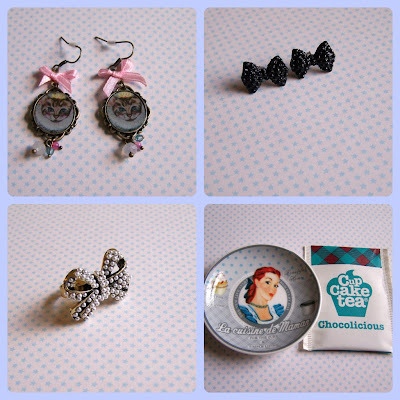 I have just added some new items, which I really love! I will post updates every now and then, to keep you on track with all the new items. I added some earrings, a bow ring and cute,vintage teabag holders with sweet teabags. new follower from the hop! thanks for co-hosting..
Oooohhh I love the bows :D super cute!